The PUK is an ergonomic omni-directional wrist rest, designed to reduce the risk of RSI and Carpal Tunnel Syndrome. We accept payments online and ship worldwide. 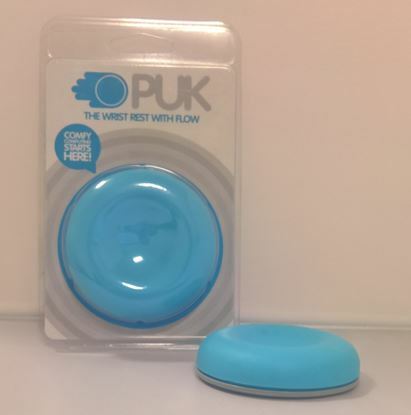 The PUK Mouse Wrist Support is a soft rubbery disk on a hard plastic base; the base has a very low coefficient of friction so it slides over the worktop as easily as the mouse. What's your favourite PUK colour?